Upgrades are released when new functionality or enhancements are added and are provided to our current registered customers free of charge for one year after the initial purchase date. Optional maintenance renewals may be purchased prior to the expiry of the first year for $59.80 for one license of SigmaXL, $199.00 for one license of DiscoverSim or 20% of the original purchase price for a multiple license purchase. Maintenance renewals entitle our customers to continued upgrades and technical support. Maintenance for educational licenses is $59.80 per license of SigmaXL and $160.00 per license of DiscoverSim. Users who choose not to join our maintenance plan may purchase upgrades for $149.50 per license of SigmaXL or $497.50 per license of DiscoverSim. Answers to frequently asked questions and common error messages can be found on our Help Desk. We also provide technical support via phone at 1-888-SigmaXL (744-6295) and email at support@SigmaXL.com from 8:30 am to 5:00 pm EST Monday through Friday, excluding US statutory holidays. Live help is available on our website during the same hours. Our Live Help availability is always indicated on the top right hand corner of our site. Support is provided free of charge to registered users for one year after the initial purchase date. Maintenance renewals entitle customers to an additional year of support. Customers with unsupported or third party programs1 do not receive updates, maintenance releases, patches, telephone assistance, or any other technical support services for the unsupported programs. 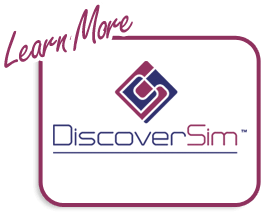 SigmaXL and DiscoverSim are available by electronic download. For download orders, please make a backup of the setup file immediately. If a setup file is lost and the purchase is over 12 months old, the file cannot be replaced. An upgrade to the latest version of SigmaXL or DiscoverSim must be purchased if the user has not joined our maintenance program. If the user is a member of our maintenance program, the upgrade will be supplied free of charge (electronic download only). We recommend users make a backup of the SigmaXL or DiscoverSim Setup file by copying the file to a CD and storing it in a safe place. Files are often lost when computers crash or companies replace machines and copying the file protects your investment. Remember, if the license was issued over a year ago, we cannot replace it. Missing or inaccurate information means we have to search our records and this can delay your request. 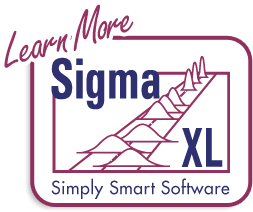 1"Unsupported or third party programs" include software applications not directly created or distributed by SigmaXL Inc.